The public outcry over failed EGR valves post the VW emissions fix continues to dominate our web traffic. We’re hearing from an increasing number of concerned owners who are raising questions over the lifespan of other mechanical components, namely their DPF (Diesel Participate filters). We’ve covered this problematic and costly filter at length, so lets see how you’ll be affected post the emissions “fix”. What is a DPF – Diesel Particulate Filter? A diesel particulate filter (DPF) is a device which sits in the exhaust system, it “captures” soot / diesel particulate and other nasty particles before they are released into atmosphere. A diesel particulate filter can remove upwards of 85% of the particles from the exhaust, reducing harmful emissions. The filter captures the soot and ash particles in a net or mesh like structure within the filter. All VAG vehicles “recalled” for the EA 189 NOx emissions issue are Euro 5 and by law have to be equipped with a DPF filter. How will the emissions fix affect my DPF? In a letter from the UK’s DfT (Department for Transport) Duncan Kay (Head of Vehicle Environment Team) it was confirmed in writing that the “fix” offered to VAG owners “causes about twice” the level of carcinogenic diesel particulate matter to be produced during the combustion process. This confirms what many owners have experienced, noting that their engines fans are staying on after the car has been parked with increased frequency. These fans are running due to the vehicle performing a DPF regeneration, attempting to “burn off” the extra soot within the filter. This process would usually happen during normal driving conditions without the knowledge of the driver, however with the increases soot loading it’s proving to be much more noticeable with the regeneration failing to complete before the vehicle has stopped. Whats not often mentioned is the Ash buildup which will ultimately be the death of your DPF. Unlike the soot particulates which are burnt off during a regeneration, Ash will build up within the filter until it blocks completely. A DPF regeneration is not capable of burning off the Ash buildup in the DPF, literally meaning a DPF regeneration will NEVER completely clear the filter of all exhaust matter. The negative effect of emissions “fix” on the DPF filter should see its lifespan cut in half. With twice the amount of diesel particulate matter being produced after the emissions fix, its expected that this will directly impact the lifespan of the filter by the same amount. It’s widely accepted that a DPF should last about 70,000 to 85,000 files (before the fix). The negative effect of emissions “fix” on the DPF filter should see its lifespan cut in half. A side effect of increased DPF regeneration is higher fuel consumption. The regeneration works by increasing the temperature of the DPF to a level which allows the soot to be burnt off. This process uses fuel to super heat the filter (to around 600°c). With DPF filters costing upwards of £600 (without fitting) this represents a ticking time bomb for many VAG owners. Should I have my DPF removed? VW does not make any physical changes to the DPF during the emissions fix. However if you’re one of the many owners who have opted for a “DPF Delete” VW will not be able to perform the emissions update and will charge you for a replacement DPF. This is often a four figure bill. We’ve been very clear about our position on DPF deletes / removal from the very start. DPF removal represents an MOT failure and could invalid your insurance. It’s also an offence to alter the emissions system of a vehicle, something not mentioned by the many garages offering this illegal service. We’re not even going to explain the extent of environmental impact. Put Simply… DON’T DO IT. Read more about DPF and your MOT in the read more section below. Contrary to popular belief, driving faster could actually save you money in the long run. A DPF regeneration can only occur when certain conditions are met such as speed, RPM and engine temperature. Unless all these conditions are met, the DPF regeneration process will not start. Driving slow and trying to save fuel might prevent a DPF regeneration. Your vehicles owners manual should have the steps / conditions required to perform a DPF regeneration. Before you attempt a DPF make sure you are doing it correctly, unless you’re at the right speed, engine temperature and RPM a regeneration will not begin. Don’t waste your time and fuel by doing it incorrectly. If in doubt, contact your dealership. It’s vital that you only use low SAPs oil in any DPF equipped vehicle. Low saps oil contains lower levels of ASH, the substance which causes DPF filters to clog up. Consult your owners manual if you’re unsure on which oil to use. We’d always advise on using the manufacturers recommended oil. 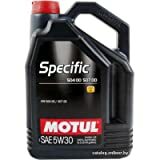 In VW vehicles this is VW 507.00 Engine Oil. These tips are just a small selection of our DPF tips. 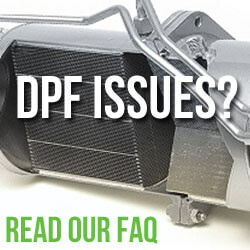 Check out the DPF page links at the bottom of the page for our complete list of DPF top tips. What happens if my DPF light comes on? If your DPF light comes on (like this <—- ) we suggest you first consult your manual to see what conditions are required for a DPF burn (If in doubt contact your dealership). You may also want to resort to using one of the many DPF cleaning additives. These cost effective additives assist a DPF regeneration by lowering the temperature required to burn off the soot within the filter. Steer clear of your dealership or Halfrauds, their prices are often astronomical. We’ve always opted for products from Amazon. We’ve put some links below of a selection of the most popular products. Help! The DPF light is still on! If your DPF light and / or engine management / warning light on after a regeneration cycle it’s likely that the filter is blocked with Ash or the regeneration was unsuccessful (Ash can not be burnt off during a DPF burn). We’d suggest taking the vehicle in to your dealership for a quote on a “forced” regeneration. This will force a full cycle DPF burn without interruption. It might also be a complete waste of money if its clogged with Ash. We apologise for the lack of clarity but once you’re down the road of forced regeneration you’ll be looking at some hefty bills no matter what. We’ve been there, done that and got the t-shirt. It’s what ultimately led to the sale of my problematic Nissan Qashqai. What about owners over the US? Owners over in the US have nothing to worry about. VW are not only offering up to 11 year warranty on EGR and DPF systems of their fixed vehicles. They are replacing them free of charge in the second phase of their “recall”. We note that here in the UK, DPF filters ARE NOT covered under warranty for any vehicle – they are considered a wear and tear item. UK owners are also offered no warranty at following the emissions fix. You can read more about that in our article linked at the bottom of the page. Excellent explanation of this very real issue. Thanks and well done. No problem at all 🙂 Glad you like and we hope it’ll help our fellow VAG owners struggling after the so called fix. I have a 1.6 Skoda Diesel Octavia, 2010 registration. I have twice been called to have the emissions fix. When I bought the car in June 2016 I was not made aware that Skoda was part of the VW emissions cheat scandal. Based on what I have read on the Internet I do not intend to have the fix done. I had a fix done on my 2010 Golf. I had the DPF and EMS lights shortly after with my car going into limp mode following the EGR valve breaking. VW replaced the EGR valve but my DPF warning light comes on every three weeks requiring a 15 mile run in 4th gear to clear it as per manufacturers guidelines. I’ve explained this to the dealership where I purchased the vehicle and have subsequently had it regularly serviced and maintained. Having no joy from them I’ve been given two phone numbers at VW, an emissions team and a Special Projects team, the latter being apparently the highest level at which I can complain. All avenues have led to VW basically telling me I have to live with it, that there’s nothing they can do to help, despite the fact it’s their initial deception and their subsequent “fix” that have caused these problems. I’m disgusted. You’d be quite right in thinking it is related to a DPF regeneration. The EML light would then suggest that this process was unsuccessful. Hope they manage to sort it for you, let us know how you get on. Great article as always, just one more reason why I have decided not to have the update! My Tiguan (2015) is booked in for its 2 year service next week and I have categorically told them not to carry out the software update. My local VW dealer, Whiterose, Crosshills near Skipton have always been fantastic and I believe I can trust them. Thanks for the kind words, I hope you found the article useful. You are in a group group of people who have opted out of the recall program. I can see it being a selling point in the not to distant future. Did they pressure you to have it done at all? We’ve heard reports of dealerships saying the vehicle may fail future MOTs without it being applied. I was in the same position a few weeks back, my 2015 Skoda Octavia VRS TDI was in at Wings Skoda / Peterborough. I was very clear in my request not have the update and made them note it on the job sheet. They confined that the fix would ONLY be done with the owners explicit consent. It’s just a shame the same couldn’t be said for all dealerships. The morning after I had the ‘fix’ on my 2013 Seat Ibiza 1.6tdi the DPF light came on for the first time ever! I now really regret having it done. I’d also be getting contact with your dealer and request that it be looked into. We have had a number of issues with out VW Passat since our lovely car went in for the emissions fix. The engine management light has came within a day of the fix being completed, diagnostics showed it to be the Diesle Particulate Filter, the car shudders when it is stationary, and the smell of diesel inside and outside of the car is immense. The car went in today to look at and sort these problems, have just had a phone call from the VW garage to be told that the problems were there before the car went in for the fix, which is totally untrue as we carried out a diagnostics on the vehicle before it went in just to be cautious. When I argued and explained we knew this was untrue he then had the nerve to tell us that we may be expected to pay for any problems that needed fixing, but would clarify this once he had heard from VW. Be warned, they will tell you that you are the first person to come in with issues after the fix, UNTRUE, they will tell you the problem/problems where there before the fix was done, UNTRUE. My advise, do a diagnostics on your vehicle before it goes in and take the proof with you. I am angry that they treat loyal and life long VW customers in this way. Think that we are stupid and trying to claw back money from us that they have had to pay in litigation. DISGUSTING VW. Unfortunately VW do not offer warranty on the DPF systems – unlike their actions in America which offer a comprehensive 5 year warranty on the EGR and DPF filter. Check your manual to make sure you have the correct conditions for a DPF regen. Had the fix done 3000 miles ago dpf light had come on twice since then but has cleared itself shortly after , just waiting for it to fail completely now from what I have read form other owners this won’t be too long , have not contacted Audi yet !!! Sorry about that. The ads google uses are based on your search and browsing history together with the page content. I do try and remove conflicting advertiser but it’s a constant struggle. I had my service action in Feb on my Audi A3 1.6tdi since then the rev counter has been above the normal idle at 1000rpm, and the fan staying on after a journey. The DPF light came on soon after. I can clear the DPF with a shot on the motorway but it only takes a week for it to begin getting back to the idle rate being higher and the fan staying on again. I called Audi garage in March who said they would ask for £240 for a 2hr diagnostics first to investigate since they state it is not related which put me off but now I’ve come to a point where I need it putting right by Audi and have realised from your internet site I’m not the only one suffering from this mess. I’ve arranged for a diagnostics for £120 but if the fault is found within the hour then its £60. However if the fault is related to the service action then they wont charge, lets see what they say…I suspect the answer will be, fault is unrelated and leave me further out of pocket. Hi there, I’m running a 60plate golf 1.6tdi, about a week ago a warning light came on on my dashboard (having had the emissions service done in March), the text display read – engine fault: workshop! The warning light was flashing and was the shape of a coil/spring. So I checked the manual and it indicated that it was the egv, and needed seeing to. So I booked it in with vw for diagnostics, for which they told me prior to taking it in that there might be a diagnostics charge of £99. So I took it in, got hit with £99 diagnostics fee but also wanted £284 on top to fix the issue. The issue that got flagged was the dpf sensor. And they wanted to replace it. Now I feel I shouldn’t have to pay anything towards this. The car has only done 53k miles so the filter should have lasted this long from new. I ran my car from stoke on Trent to telford down a fast b road to attempt to regenerate the engine by keeping my revs above 2000rpm. I took it in on Friday, couldn’t afford the fix, took it on a run yesterday afternoon and now this morning, my catalytic converter light is on. Is this anything to do with the scandal and should I have to pay anything to rectify it? Because otherwise I can’t afford to fix my car, so I’ll have to leave it, until the point when the filter and exhaust needs changing completely and I’ll need to pay thousands? I believe this is VW’s way of making some money back that they got sued for. Interesting article, thank you. About 5 months after my car had the emissions fix my engine warning light came on and it turned out to be a problem with the DPF filter, which had to be replaced at a cost of about £900. I didn’t connect the problem with the emissions fix until reading this article though (you’ve also explained why the fan runs for so long after I’ve switched the engine off, I previously thought this was something to do with the AC). I had my DPF replaced at a non-VW garage so my chances of getting any kind of re-imbursement are about zero, but it’s useful to know for next time. I decided not to have the fix done on my 2012 1.6 tdi passat. The car was in last week for a service and the mod was carried out without my consent. I have asked them to undone it, I have been told I will get a call next week by the dealer. Purchased a second hand Tiguan from a VW Dealer in September 2016. Went in to the garage in October to have a new sensor on the petrol cap and the “fix” was carried out at that time, without asking me whether I wanted it carrying out. Lasted until January when the EGR valve went. Took 4 weeks before I actually got the car back, work carried out FOC. Noticed fan working more often and DPF light has now come on twice in July in the space of two weeks. Going back in to garage this week to have a new banjo bolt fitted, oil leak following EGR valve fitting. Completely disillusioned and stuck with a car that I had wanted for over a year with a drastically reduced value. Have had the fan issue and now the dpf problem, causing car to go in to limp mode twice this week in very dangerous places.ie. dual carriage way etc with kids in car. No probs with my 2011 vw golf before this. I want a new car / compensation not massive repair bills!!!! I own a 2010 Tiguan Bluemotion 2.0 TDi, currently 192k. The software update saga came to light, for me, whilst I was covering 30-40k miles a year. Upon a role change, I currently only travel around 10k miles max. So having the update, I noticed a dramatic change in my mpg, namely before the update, a run could produce 55-65 mpg. After the update, I only see a max 55. Also, the dpf seems to ‘fault’ on a regular basis. I put this down to shorter journeys and infrequent use. However, last week I had a days travelling, Friday, covering around 250 miles, no use over the weekend, to find when used on the Monday dpf showing a fault! Thanks for the explanation of how VW have handled this in the UK, abysmal springs to mind. I read that some have advised not having the update, if it’s producing this many faults, why are VW ‘cashing in’ on the replacement issues and not addressing the real issue of bad workmanship and lying to the public? No more VW’s for me. My Toledo had ‘dieselgate’ fix in Aug ’17 @ 35 months from purchase new. Yesterday only 4 1/2 months later the filter light came on for I think the fifth time. It never came on once in the previous 35 months! My first & last VAG car! As usual, UK customers get worst service on planet! 2015 A4 Allroad 20tdi 177 averages 37mpg at 70mph for a 30 mile Motorway trip since the update. I could run an RS model on those fugures. After 15 years of Audi ownership and brand loyalty this will certainly be my last. Well done Audi! Recent full service they asked if i wanted the emissions correct. it’s free and i asked if it would affect the car diversely in any way. no. guess what. DPF light on – trip of 200 miles and cleared. 2 weeks later, comes on again – only this time with the engine management light and before i can do a long journey goes into limp mode. dealer advice – do not drive it get it recovered in here!! What do i do? I had the fix done on my 2010 Golf. I’d had no issues with the vehicle previously. Since having the fix my DPF clogged, wouldn’t clear and and an engine management fault and broken EGR valve later I thought the worst was over. However the DPF even with an upgraded EGR valve now clogs every three weeks, where it hadn’t clogged before, necessitating a 15 mile run in 4th gear to clear it whenever it happens. I’ve been to my local dealership and contacted two numbers at VW, one an Emissions Team and the other a Special Projects Team. None of them can or will offer any assistance. I’m disgusted. I own a skoda Fabia 2013 common rail 1.6 diesel. I only do short journeys with it at present 8 mile round trip due to working local. I was never told by skoda vw that I should not use on short journeys. Reality is only use diesel cars for long distances then you should ever have issues with egr and dpf. Another word of advice is egr can also clarify sooner if your heater plugs are not operating well chap that fitted my towbar said heat at least 3 times In the cold and replace them every 60/70k they are cheap and easy to replace approx 50pounds for full set. 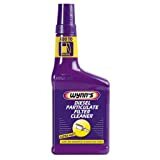 I have never had dpf light on In my car or egr blockage. However I don’t follow vag advice they say don’t use fuel additives in the hand book. I use 2ehn and Dipetane sometimes mineral two stroke oil with petrol in my diesel. My car runs quiet and runs s well. I most certainly won’t buy a vag diesel that’s had the fix done. I own a skoda Fabia 2013 common rail 1.6 diesel. I only do short journeys with it at present 8 mile round trip due to working local. I was never told by skoda vw that I should not use on short journeys. Reality is only use diesel cars for long distances then you should never have issues with egr and dpf. Another word of advice is egr can also clog sooner if your heater plugs are not operating well chap that fitted my towbar said heat at least 3 times In the cold and replace them every 60/70k they are cheap and easy to replace approx 50pounds for full set. I have never had dpf light on In my car or egr blockage. However I don’t follow vag advice they say don’t use fuel additives in the hand book. I use 2ehn and Dipetane sometimes mineral two stroke oil with petrol in my diesel. My car runs quiet and runs s well. I most certainly won’t buy a vag diesel that’s had the fix done. Must stress I never had the fix done and I only service my car myself. I was advised by a friend of mine who works at a franchise that the fix will kick regeneration in more often. In real world terms burn more diesel reduce mpg!!! 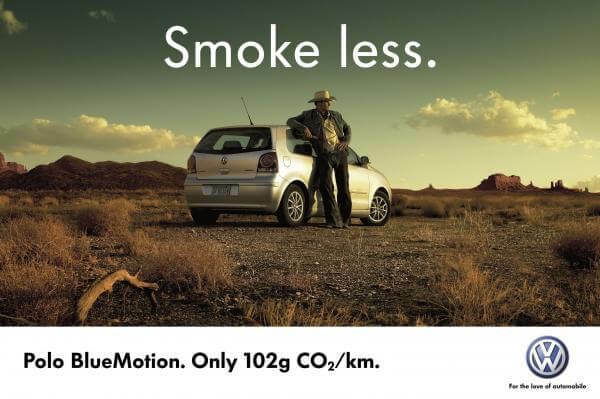 To make emissions cleaner. To help save the planet get real people. thanks for the info… I’m in the US and my DPF light just came on. Tried driving it as Manual directed, then tried a DPF cleaner, no luck – have to take it to dealer. he said it would be fixed at no cost to me due to the settlement fix. I really hope that is the case. My fan is also running constantly when I stop my car. I’m in Western Australia and am in the throes of trying to fix erg and dpf problems with my VW 2011/12 Caddy Trendline. I purposely refused the software update because I’d heard of the problems. It’s been a great car, no problems up until about 7 weeks ago when the erg light came on and flashing dpf and the car goes into limp mode. My mechanic is private but did his training with a VW dealership so he knows what he’s trying to solve. He initially did a flush out of the soot buildup, at least 3 regeneration’s by now. But the car would work for a day and then back into limp mode. 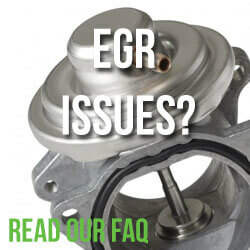 The egr part alone is $2500 in Australia, so we shipped from the UK for A$1000. It’s all in now and car is running but we can’t get rid of the dpf light… the computer is showing that it still has a soot buildup that neither hell nor high water is going to clear…so it’s looking like another purchase for a new dpf part..
Hi Karl, I have a 2013 Skoda Yeti with the EA 189 2.0 (140 BHP) TDI engine. I had the fix carried out, by the Skoda dealer, in October, 2016. Since then the DPF regeneration occurs almost daily whereas before it only happened infrequently ie once a month. What is even more disturbing is that I am now having to remove some engine oil, every 2 months, to prevent the oil level exceeding the maximum safe level due to oil dilution with petrol. I have now joined the increasing army of people who are suing VAG with ‘Your Lawyers’. I don’t agree with the modern fashion of suing organisations but feel that I have no choice and will need money to pay for a new DPF, EGR valve and finally for a remap to undo the fix and return the car to its former condition. Do you have any advice please? 1 Pings/Trackbacks for "Dieselgate: How the emissions “fix” will affect your DPF Diesel Particulate Filter in your VW, Audi, Skoda & Seat"